If you are bringing little kids along, you can’t miss out on Wacky Tacky. Silly name aside, this is the perfect place for children. There is a 5D movie theater with moving chairs, a ball pit, a cafe area, a huge playground, and an assortment of different themed areas like the “outer space” area. There’s even a small place for adults to hang out with a great view of where your kids will be playing. This is a great way to make sure that you will be able to keep an eye on your kids without having to chase them through tunnels and ball pits. But if that is your thing — go for it. We won’t tell! If you are looking for a place to have a really good time with your kids, you should check out Circus Vargas. It can get a little bit warm in there, but it is completely worth it once the acts begin. One of the biggest highlights is the clown show because they are actually funny and they will make sure that you are laughing all night long. Before the show begins, young children are invited to interact with the circus events. This is great because they will get all of their energy out before they have to sit still for the show. Another great place to bring the whole family is Golfland SunSplash. They have many unique attractions such as the night slide and laser tag as well as two different eighteen hole golf courses and mini golf. There is so much here that it will be almost impossible to not want to spend a whole day here. There is even a great place to grab some food while you are there. Nothing can be more exciting than a trip down the Riptide Waterslide. Watch the video below to see how much fun a trip down one of their waterslides can be. If you are looking for a little bit of adult fun, then the Opera House Saloon might be the place for you. It is a great bar that is known for having great musical talent. They have an amazing dance floor which is perfect for swing dancing. They have different dances on different nights. They have outdoor and indoor seating and a fire pit for when it gets cold outside, so you are sure to get the seat you want no matter what season you are visiting in. WATCH: Youtube Video, Tom Vinci – Superlicious at Opera House Saloon Roseville, By Leroy Enzo. If you were headed to California to make your dreams of becoming a star come true, then you should head on over to SING INC. It is an amazingly beautiful and fun environment that will make sure that you have a really great time. They work really hard to make sure that you are not going to get too nervous and they will help to ease any butterflies that you might be experiencing. They offer things like workshops and camps to help you fine tune your abilities and make sure that you are getting everything you want. And if you meet a teacher that you really like taking lessons with, they offer sessions via Skype calls so that you can get the help that you are looking for anywhere in the world. Black Top Comedy is the perfect place to go if you are looking for a really good laugh. It is a good place to bring the whole family because they offer different shows that are suitable for different ages. It is a very comfortable place and they make you feel right at home. The improvisational shows are amazing. You are pretty much guaranteed to be rolling on the floor with laughter. If you like to live life on the wild side, then taking a trip to the Mariah Wilderness Expeditions is where you want to go. 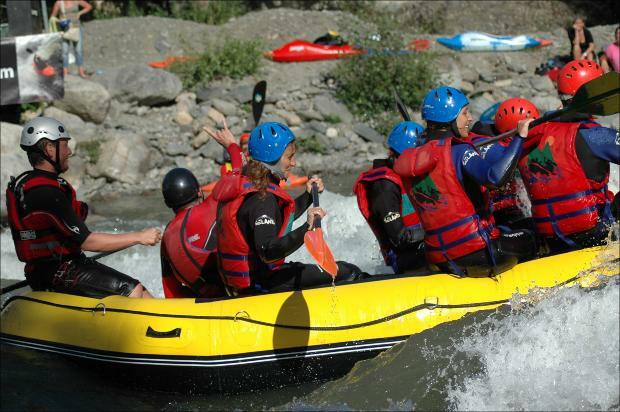 Whether you have been whitewater rafting a million times before, or this is your first time, the wonderful staff are going to make sure that you have the time of your life. They also offer plenty of classes to get you to the level that you have been wanting to reach. WATCH: Youtube Video, Middle Fork of the American River Rafting Trip with Mariah Wilderness, By Mariah Wilderness Expeditions (Video by: Jason George). We hope you have enjoyed fun things to do in Roseville CA. I’m Edward A Smith, a Personal Injury Attorney serving Roseville, CA . If you, or a family member, have been seriously hurt in an accident due to the negligent act of another person, call me now so I can help at (916) 921-6400. I am sure you have questions on how to proceed. When you call me, I will provide fast, free, friendly advice at no obligation to you. Or, dial me toll free at (800) 404-5400 if you are calling outside of the Roseville, California or 916 area code. It is super smart to read up on client reviews for the businesses you plan on doing business with. To read Ed Smith’s customer reviews, click on these links: Yelp, Avvo and Google. Ed Smith is a proud member of Million Dollar Advocates Forum. View the track record for Personal Injury Attorney, Ed Smith: past verdicts and settlements.